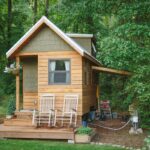 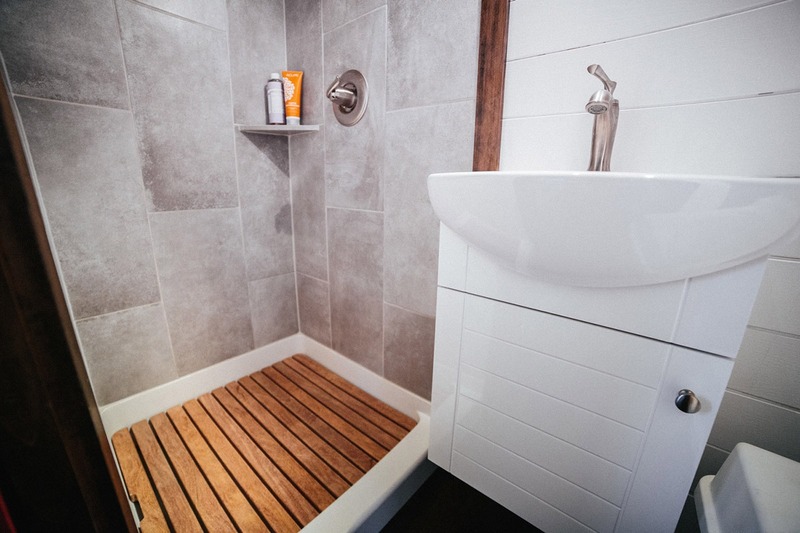 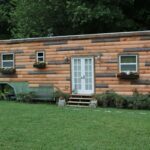 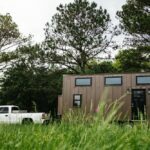 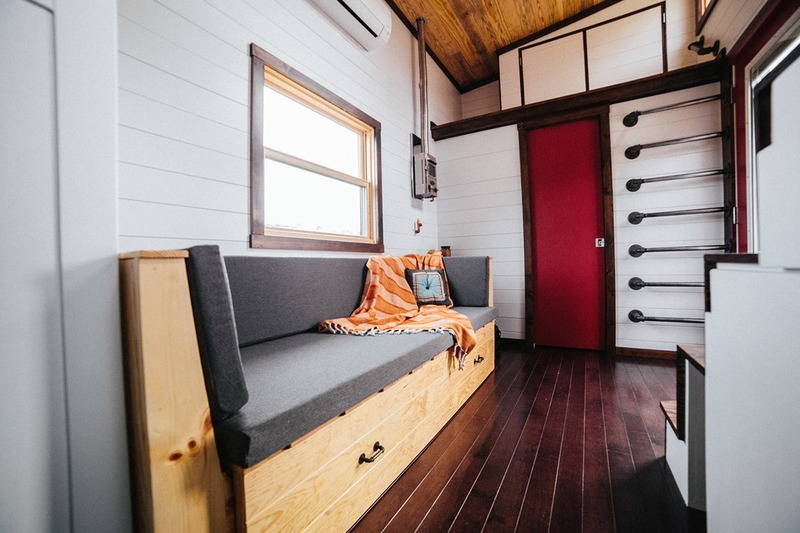 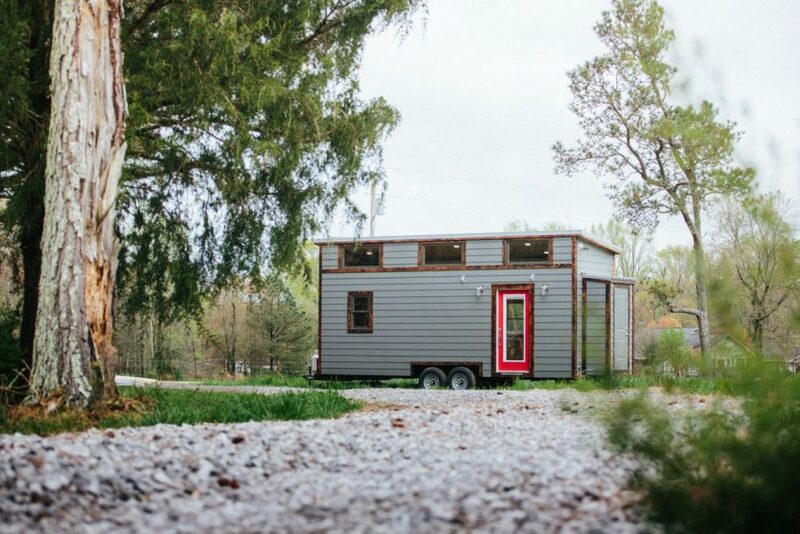 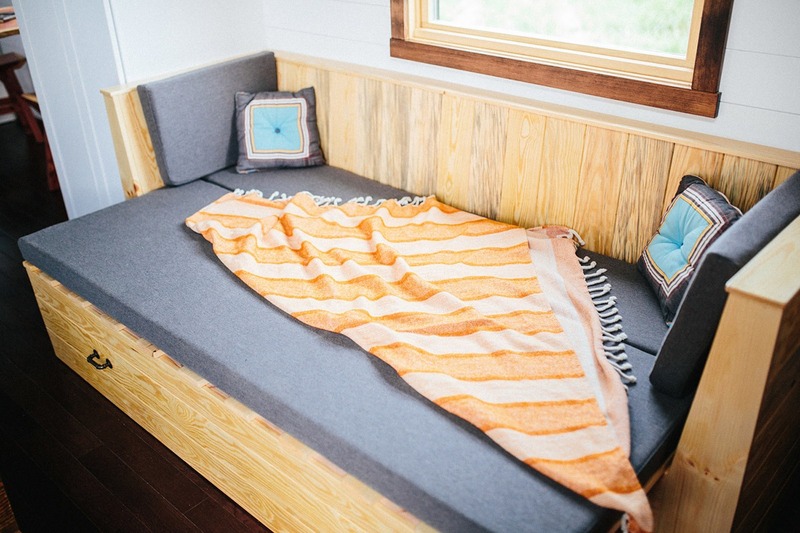 Wind River Tiny Homes offers a combination of modern and traditional style with The Chimera. 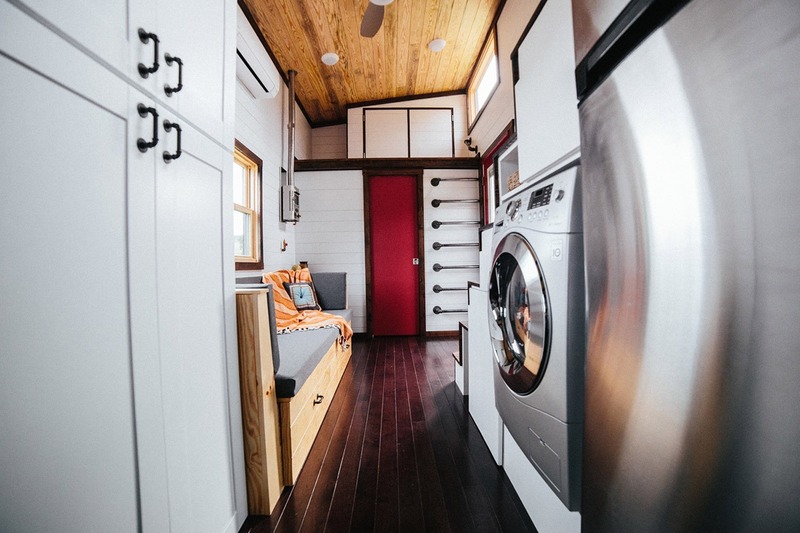 The 24′, 192 sq.ft. 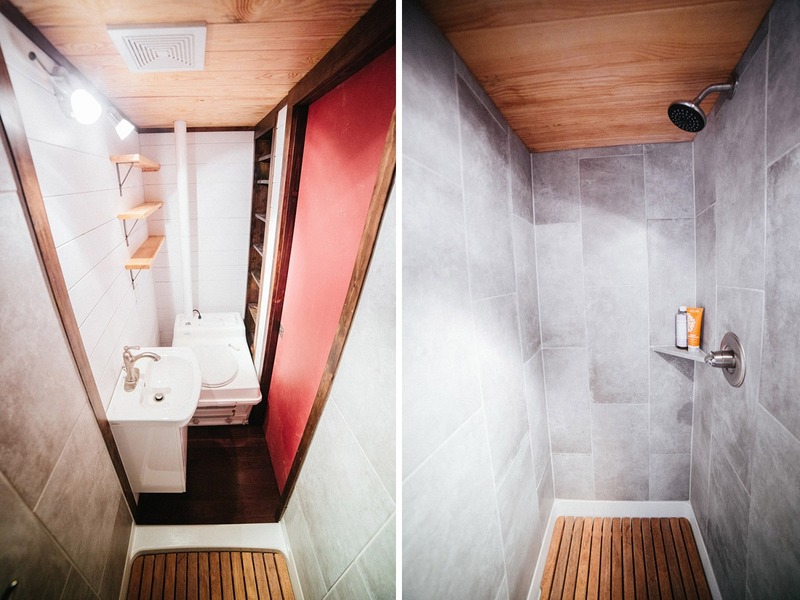 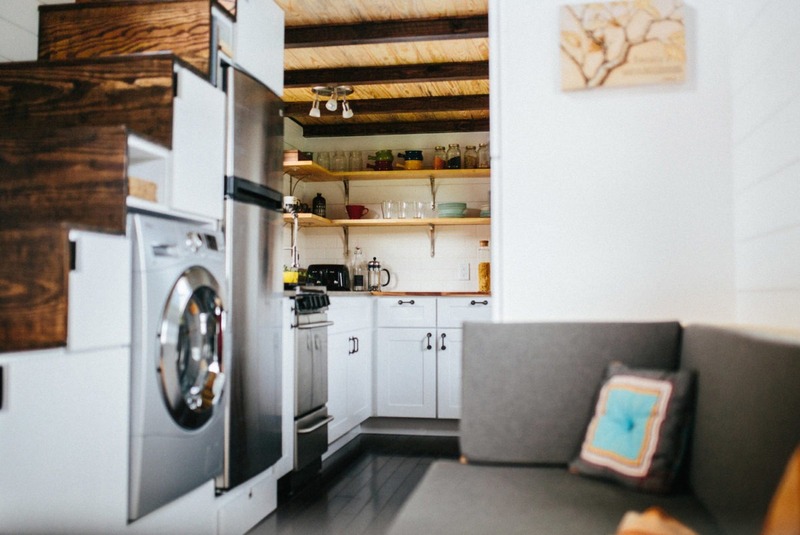 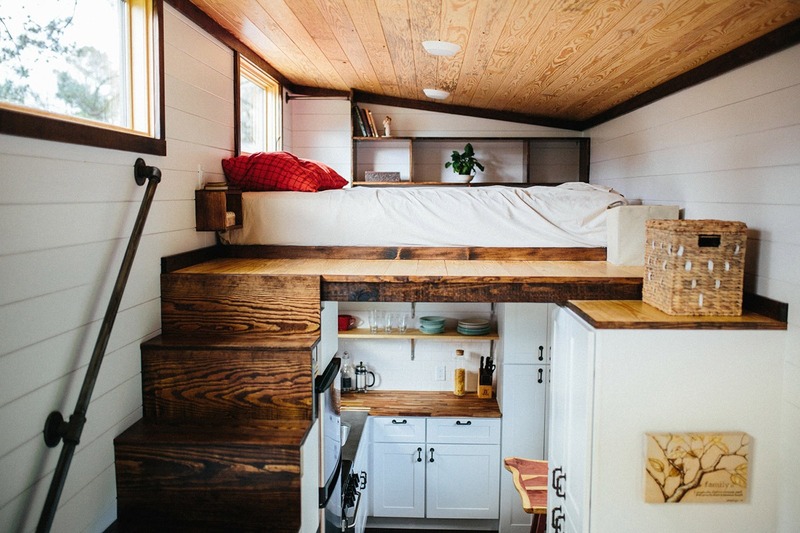 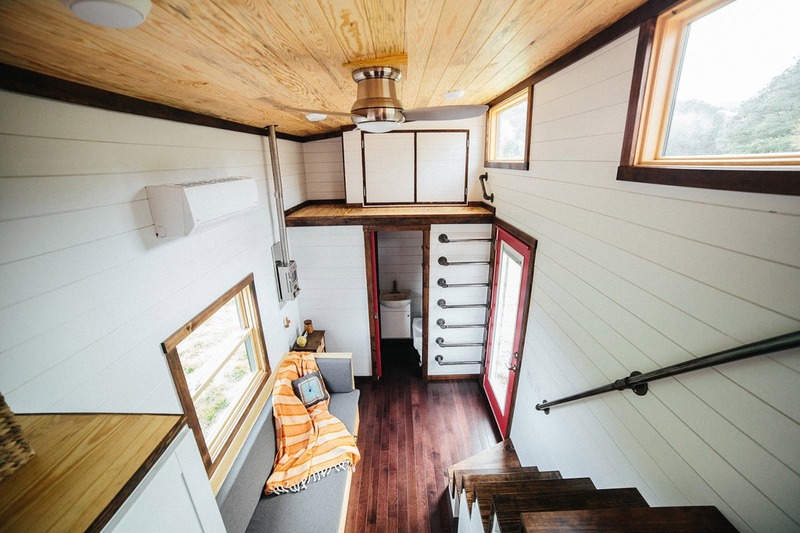 tiny house is brightened up by the white walls and warmed by the natural wood accents. 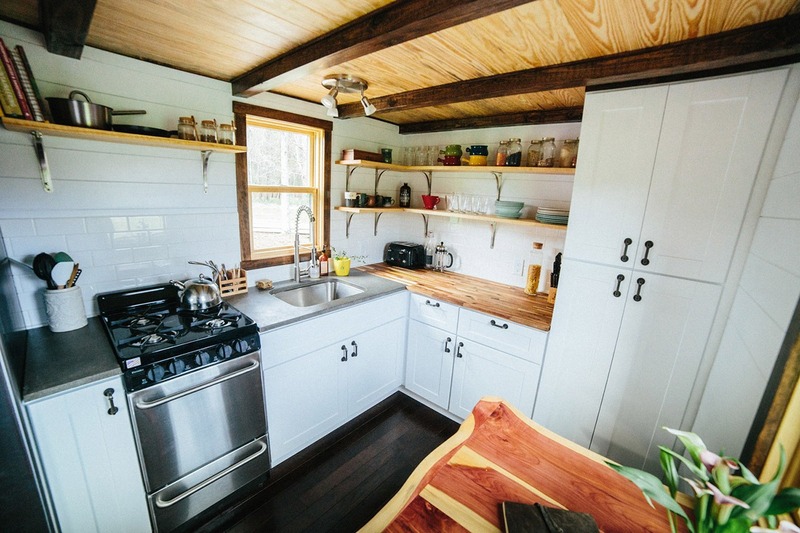 The kitchen includes a concrete and butcher’s block counter top, a full range, and plenty of cabinets and shelving. 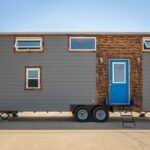 This model can also be built on a gooseneck trailer. 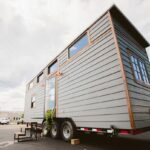 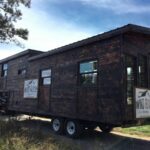 Also available from Wind River Tiny Homes: Big Whimsy, Ironclad, Monocle, The Phoenix, Nomad’s Nest, Wind River Bungalow, The Triton, The Mayflower, The Rook.